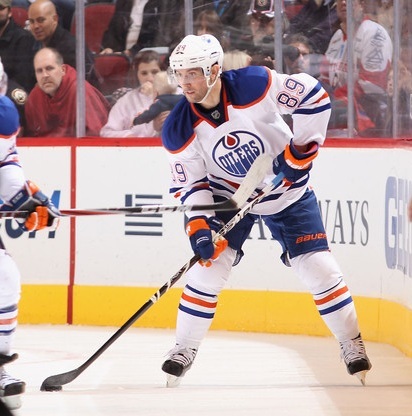 Blackhawks-Oilers: A Sam Gagner Showcase? Now that we’re headed into 2012, the trade rumors will only continue to swirl around the NHL. With the Edmonton Oilers in Chicago tonight, one of the names that’s been on the mind of many Blackhawks fans has been center Sam Gagner. Will tonight be a showcase for him in front of Hawks’ brass? The heart of the Gagner lust comes from his time with the London Knights in the 2006-07 season. Playing for now-Caps coach Dale Hunter in a powerhouse lineup, Gagner was third on that team with 118 points (35 goals, 83 assists) in only 53 games. On his line that year, and with whom he had great chemistry, was the Knight’s leading scorer: Patrick Kane (145 points in 58 games). There’s a lot about Gagner to be intrigued with as the deadline approaches. At 22, he already has four 40-point seasons on his NHL resume. The Oilers selected him with the sixth overall pick in the 2007 Draft, and he is set to become a restricted free agent this summer. The Hawks can certainly afford Gagner ($2.275M cap hit), and he would fit as the team’s second line center. But there are questions Hawks management need to answer before they considered making a deal for him. What would the Oilers want? With Ryan Whitney struggling with ankle injuries, and Tom Gilbert the only defenseman under contract after the 2012-13 season in Edmonton, they could be a perfect team for Rockford’s Brian Connelly to finally get a shot at the NHL. But if the Oilers wanted more than a couple prospects for Gagner, the Hawks might have second thoughts. What’s the future at center for the Blackhawks’ prospects? While Marcus Kruger hasn’t shown the offensive production most would like from a second line center, he certainly has shown that he can play in the NHL and is still young enough that his game will continue to develop. Meanwhile, Brandon Pirri has looked good in limited NHL action, and the Hawks might believe he’s the second line center of the future for the organization. Mark McNeill is another name that might receive some consideration at the center position down the road. If the Hawks aren’t looking for a long-term answer at center, renting a player like Gagner might make sense with his rights under team control for potential trades this coming summer… but that will also weigh heavily on what the Hawks are willing to give up to land a player to fill that role. Gagner is coming off a relatively strong December in which he had four goals and five assists. He has been productive on the power play (one goal and two assists in December), and he is winning 50.4 percent of his faceoffs this season. He would be a good fit in Chicago, but are the Hawks looking at him? We’ll have to wait and see. We need size and grit on our top lines, not another smurf. As well as a tough stay at home defenseman…We score plenty, but give up too many…so thanks, but NO THANKS on Gag-ner! Tab, remember when I said that you were being too generous with grading Kane so high on your quarterly report card??? 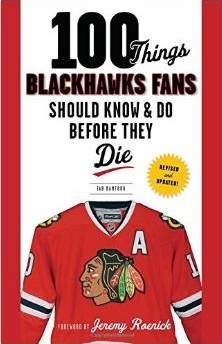 Kaner needs to get away from the CAMERA and SHOOT some &^%&* pucks, and get on the ice and skate!!! Kane simply is not getting the quality chances he has had in the past… when he does he shanks the shot! Even w/#19 the chances are way down!!! Only one person to blame- Hollywood Kane!